I am honoured to be a recipient of a 2016 Excellence in Teaching award from the University of Toronto School of Continuing Studies. 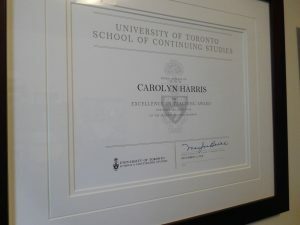 The award recognizes sustained dedication to the delivery of adult education. My course about Marie Antoinette and the French Revolution begins at the University of Toronto School of Continuing Studies on January 11. Click here for more information and to register. In the Spring of 2017, I will be teaching one of my most popular courses: Peter the Great and the Building of Saint Petersburg. Click here for more information and to register. Empress Alexandra Feodorovna (standing at the right) with Rasputin, her children (top left to right: Anastasia, Alexei and Olga; bottom left and middle: Maria and Tatiana) and the children’s nanny, Maria Vishniakova (bottom right). December 2016 is the 100th anniversary of the murder of Grigori Rasputin, the controversial holy man, faith healer and adviser to Czar Nicholas II and his wife Alexandra. Rasputin’s presence at the Imperial court undermined popular confidence in the ruling Romanov dynasty and he was ultimately murdered by members of the Czar’s extended family and the political elite. Rasputin’s life, reputation and murder are the subject of the December installment of my monthly column in Smithsonian Magazine. I examine Rasputin’s rise to power, theories concerning his ability to alleviate the heir to the throne’s hemophilia and what really happened on the night of his murder. The previous article in my Smithsonian Magazine Russian Revolution series: “What You Need to Know First to Understand the Russian Revolution” is available here. If you are interested on learning more about Rasputin and his impact on the collapse of the Romanov dynasty, I strongly recommend Douglas Smith’s 2016 biography,Rasputin: Faith, Power, and the Twilight of the Romanovs . During the research for his previous book, Former People: The Final Days of the Russian Aristocracy, Smith found that almost every prominent Russian in the last years of Czar Nicholas II’s reign had an opinion about Rasputin and his influence. Smith therefore draws on an unprecedented range of source material to determine how Rasputin came to be introduced to the Imperial family, his role at the court of the last Czar and how he developed the larger than life reputation that persists to the present day. Smith reveals that much of what we think we know about Rasputin is legendary but in the political and social conditions of early twentieth century Russia, what people thought they knew about “the Mad Monk” became even more significant than his actual behaviour. Rasputin: Faith, Power, and the Twilight of the Romanovs far surpasses all previous biographies of Rasputin and is essential reading for anyone interested in this controversial historical figure. The quote at the beginning of my Smithsonian article is from the description of Father Zosima, a character who plays a key role in Feodor Dostoyevsky’s novel, The Brothers Karamazov . Zosima dispenses advice and is treated with reverence in the novel, giving a sense of the role of holy men in late Imperial Russian society. An excerpt from Nicholas II’s letter to his Prime Minister, Peter Stolypin about the first meeting between the Imperial couple and Rasputin is published in A Lifelong Passion: Nicholas and Alexandra: Their Own Story , a selection of diary entries, letters and memoir excerpts written by Nicholas and Alexandra and the people closest to them. The Complete Wartime Correspondence of Tsar Nicholas II and the Empress Alexandra: April 1914-March 1917 (Documentary Reference Collections) has also been published. Nicholas II’s sister, Grand Duchess Olga, who witnessed Rasputin praying by the bedside of her nephew, Alexei, survived the revolution and eventually settled in Canada. During her last years, she dictated her memoirs to Ian Vorres, which were published as The Last Grand Duchess: Her Imperial Highness Grand Duchess Olga Alexandrovna . There is also a popular biography of Olga, Olga Romanov by Patricia Phenix. Empress Alexandra’s lady-in-waiting, Sophie Buxhoeveden, also survived the revolution and wrote three sets of memoirs about her time at the Russian court. before the Storm discusses the possibility that Rasputin employed peasant faith healing techniques. Buxhoeveden also wrote The Life & Tragedy Of Alexandra Feodorovna, Empress Of Russia. A Biography and Left Behind: Fourteen Months in Siberia During the Revolution, December 1917-February 1919 about the Imperial family and her own experiences during the Russian Revolution. In Les Romanov: Une dynastie sous le règne du sang (Biographies Historiques) (French Edition) , French historian Hélène Carrère d’Encausse discusses the theory that Rasputin’s success in alleviating the heir to the throne’s hemophilia symptoms was his insistence that the doctors leave the child alone and stop giving him medications, which may have included aspirin. The traditional exaggerated account of Rasputin’s murder, including his supposed immunity to poisoned cakes and superhuman strength in his last moments comes from Lost Splendor: The Amazing Memoirs of the Man Who Killed Rasputin by Prince Felix Yussupov. The Prince was the only one of the murderers who discussed the deed publicly and his sensationalized account remains the most widely known description of Rasputin’s death, informing popular culture. 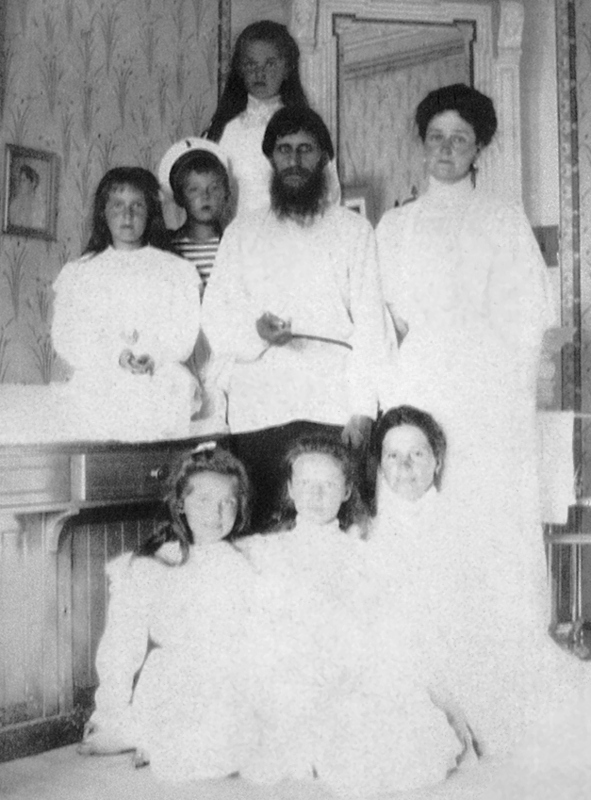 Rasputin’s daughter, Maria, was the only member of his family to escape Russia after the Revolution. She became a circus lion tamer and cabaret dancer before settling down as a Russian language teacher in the United States. She wrote a number of books about her famous father, including Rasputin: The Man Behind the Myth – A Personal Memoir by Maria Rasputin and Patte Barham . Maria Rasputin has been the subject of numerous historical novels including Rasputin’s Daughter by Robert Alexander. The Russian Imperial family in 1913, four years before the abdication of Czar Nicholas II. My new monthly column in Smithsonian Magazine discusses the events that led to the Russian Revolutions of 1917: the abdication of Czar Nicholas II in March and the Bolshevik seizure of power in November. One hundred years later, the events of 1917 continue to have a profound impact on Russia and the world. The column discusses events in Russia as they unfolded month by month 100 years ago. Royal History: The Tudor Brandons: Mary And Charles – Henry VIII’s Nearest & Dearest by Sarah-Beth Watkins by Sarah-Beth Watkins. When Michael Hirst wrote the screenplay for the Showtimes series, The Tudors, he was fascinated by King Henry VIII’s lifelong friend and brother-in-law, Charles Brandon, Duke of Suffolk. Hirst wrote in The Tudors: Its’ Good to Be King, “Charles Brandon, was, perhaps, the only man in all of England to successfully retain Henry’s affection over a span of forty years.” Over the course of his reign, Henry remained close to Charles even though his friend committed the transgression of marrying the King’s widowed sister Mary without permission. Charles remained in favour even as Henry ordered the executions of formerly trusted advisers, Thomas More then Thomas Cromwell and queens, Anne Boleyn and Catherine Howard. Hirst made Charles a prominent character in The Tudors, giving the Duke and Duchess of Suffolk their most notable appearance in popular culture since the 1950s Walt Disney film, The Sword and the Rose. Watkins, author of Lady Katherine Knollys, The Unacknowledged Daughter of Henry VIII, provides a short, readable biography of Charles and Mary in The Tudor Brandons. At the centre of the couple’s story is their elopement in 1515. Mary was the widow of King Louis XII of France and she married Charles Brandon to avoid being compelled to make another dynastic marriage. There would not be another instance of an English princess marrying a subject until Queen Victoria’s daughter Princess Louise married John Campbell, Lord Lorne in 1871. 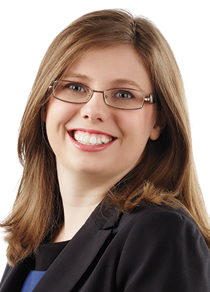 Watkins provides a thoughtful analysis of the circumstances surrounding the controversial royal wedding including reasons why Henry VIII was inclined to forgive the match and the implicit challenge to his authority. There have been numerous books written about the experiences of the British “Tommy” or German “Fritz” fighting on the front lines of the Second World War. In Ivan’s War, Catherine Merridale, author of Red Fortress: History and Illusion in the Kremlin, examines the daily life of “Ivan,” the Soviet soldier in what became known in Russia as The Great Patriotic War. Merridale provides the details of daily life at the front. In the early days of the war, adequate training (not to mention regular rations) were in short supply. Unless soldiers brought their own socks, they spent the war marching in one size fits all foot wrappers. There was no standardized system of leave and military service therefore meant long separations from families who also suffered hardships during the war. Historical Fiction: Water for Elephants: A Novel by Sara Gruen. When veterinary student Jacob Jankowski loses his parents in a car accident, he leaves Cornell university and runs away with a 2nd tier traveling circus during the depression. The book was adapted into an Academy Award Winning film, Water for Elephants, starring Reese Witherspoon and Robert Pattinson. In the novel, Jacob is ninety – or perhaps ninety-three, he can’t quite remember – looking back on his youth at the circus from his retirement residence. There’s a realism to his old age but his past unfolds like a fairy tale where the heroine is a elephant named Rosie. I have reviewed Tatiana Romanov, Daughter of the Last Tsar: Diaries and Letters, 1913–1918, translated and edited by Helen Azar for Canadian Slavonic Papers. Grand Duchess Tatiana, the second of the four daughters of Czar Nicholas II of Russia and Empress Alexandra, was murdered alongside her family in 1918, at the age of twenty-one. The remains of the Imperial family were excavated in the 1990s and are now buried in the Peter and Paul fortress in St. Petersburg. 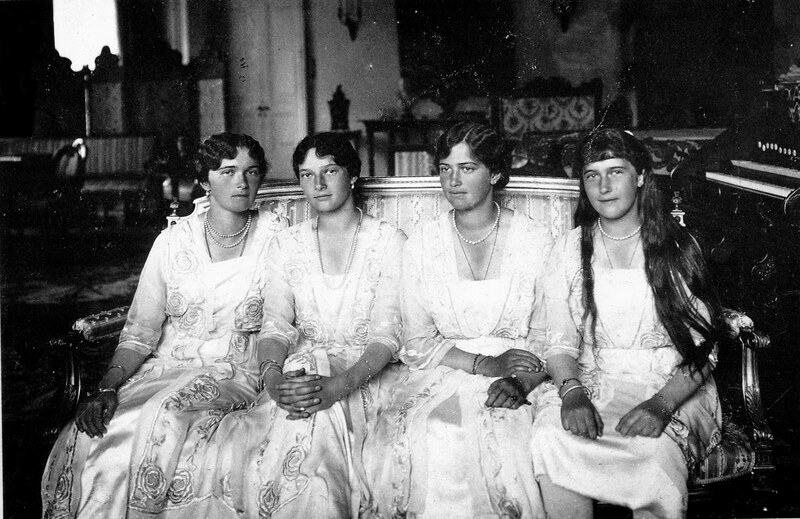 Tatiana Romanov, Daughter of the Last Tsar captures the experiences and achievements of the young grand duchess during one of the most tumultuous periods in Russia’s history. The Romanovs: 1613-1918 by Simon Sebag Montefiore, author of Jerusalem: The Biography , Catherine the Great and Potemkin and Stalin: The Court of the Red Tsar begins by comparing the circumstances of two teenage boys. The first Romanov Czar, sixteen-year-old Michael I, was at the Ipatiev Monastery in Kostroma when he was approached by a delegation of Russian nobles imploring him to end the Time of Troubles by founding a new dynasty in 1613. 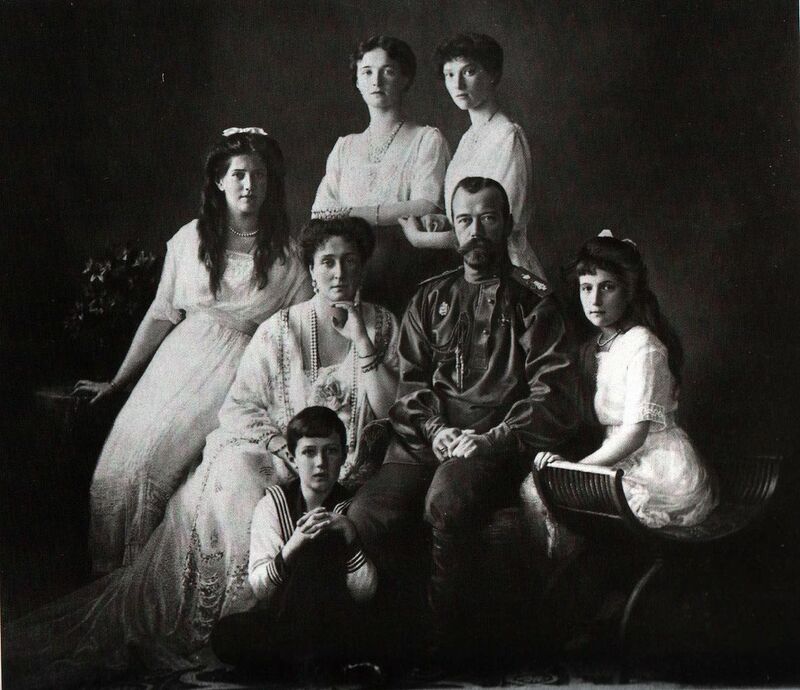 Czar Nicholas II’s only son, Alexei, was thirteen when he was murdered along with the rest of his family by Bolshevik Revolutionaries in Ekaterinburg’s Ipatiev House in 1918. Michael and Alexei were the first and last heirs to a troubled dynasty that shaped Russian history for more than three hundred years. The most famous figures from the Romanov dynasty, Peter the Great, Catherine the Great and Nicholas II are well known and have been the subject of dozens of books. Montefiore provides a fresh perspective on these rulers but the book really shines in its reinterpretation of more obscure Russian rulers. Peter the Great’s father, Alexei I has long been stereotyped as a meek and mild figure because of his piety but Montefiore makes clear that he was “an intelligent, restless and sharp tongued reformer who did not suffer fools gladly.” Peter the Great’s niece, Empress Anna’s harsh treatment of her nobles is often dismissed a personal caprice but Montefiore places her actions in the context of Peter’s determination to keep the nobility from becoming too powerful and threatening the ruler’s prerogatives. Montefiore avoids the names and patronymics familiar to readers of Russian novels and instead makes extensive use of nicknames to differentiate between Romanovs with similar names or successive generations of the same noble families. (A cast of characters at the beginning of each section provides the full names, titles and positions of all the people discussed in the book). There are times when this device is effective: the inclusion of Catherine the Great’s nicknames for her favourites such as Alexander “Iced Soup” Vasilchikov and Alexander “Mr. Redcoat” Dmitriev-Mamonov provides insights about how she felt about them and why some were far more influential than others. For the reign of the last Czar, Montefiore makes use of the nicknames used within the Imperial family, bringing the reader closer to Nicholas II’s conflicts with his relatives in the last years of the Romanov dynasty. In the early chapters of the book, however, the nicknames make the powerful figures of seventeenth century Russia seem like characters out of folklore, undermining their political significance. The Polish noblewoman and warlord Marina Mniszech, consort of False Dmitri I and II is called “Marinka the Witch” in the book and Alexei I’s sister, Irina, is described as a malevolent spinster. Since there are no other figures in this section named Marina or Irina, these nicknames are unnecessary and provide a needlessly one dimensional image of these two powerful women. Throughout The Romanovs: Ruling Russia 1613-1917 , Montefiore makes clear that in an absolute monarchy, the personal is political and that the favourites and interests of each sovereign shaped state policy for more than three hundred years. Montefiore brings the Romanov rulers to life and addresses their impact on Russian politics and society today. The Romanov dynasty from beginning to end has been the subject of at least four major English language books before The Romanovs: 1613-1918 by Simon Sebag Montefiore. The magisterial The Romanovs: Autocrats of All the Russias by W. Bruce Lincoln separates the personal narratives of individual Czars from their domestic and foreign policies, providing a wider history of Imperial Russia as well as history of the dynasty. Like Montefiore, Lincoln devote an extended section to the last Czar and the collapse of the Romanov dynasty. In The Romanovs: Ruling Russia 1613-1917 , Lindsay Hughes provides an insightful analysis of the dynasty, highlighting the changing role of women in Imperial Russia. The impact of Peter of the Great’s reforms on the Russian elite receives particular attention. Readers interested in the wider impact of each Czar’s personality and policies both within Russia and abroad will want to turn to the books by Lincoln and Hughes after reading Montefiore’s The Romanovs: 1613-1918 . The Romanovs: The Rise and Fall of a Dynasty. by Ian Grey is written in a dry style with a much greater focus on the well known Romanov rulers than the lesser known sovereigns. He challenges the idea that the Romanovs were a tragic dynasty throughout their history and argues that Nicholas II’s predecessors often ruled successfully. Grey was writing in the 1960s and the role of the Soviet Union in the Cold War influences his interpretation of Romanov Russia. The Tragic Dynasty: A History of the Romanovs by John Bergamini is written in an accessible style and covers the entire three hundred year scope of the Romanov dynasty. Like Grey, however, Bergamini was writing before the collapse of the Soviet Union and therefore did not have access to the full range of sources available to historians today. The book also contains numerous genealogical errors. 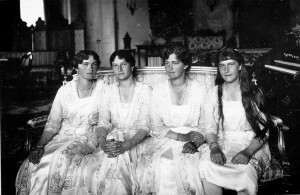 My review of The Romanov Sisters: The Lost Lives of the Daughters of Nicholas and Alexandra by Helen Rappaport has been published in the current issue of The Royal Studies Journal, a peer reviewed, open access, interdisciplinary and international academic journal for the field of Royal Studies published by Winchester University Press. Click here to read the review in The Royal Studies Journal, Volume 2, Number 2, 2015.